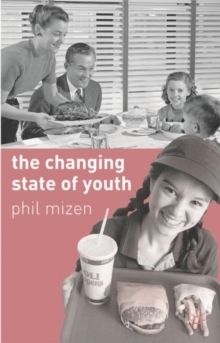 22 cm xviii, 209 p.
Phil Mizen's publications include "Young People, Training and the State" (1985) and "Hidden Hands" (edited with C. Pole and A. Bolton, 2001). This text takes as its basic premise the idea that age is a key site of division and explores the key elements of the process by which young people are integrated into society. Both detailed and wide-ranging in its analysis, it provides an accessible introduction to the major issues involved in the study of youth.